Behind the success of every dealership there is a family. Moss Motors was founded in 1979 by the late William (Billy-Jack) Moss. The company began automotive operations with Honda in 1979, adding BMW in 1980 and Mercedes-Benz in 1981. In 1989, the company’s founder, Bill Moss, died of cancer. His wife, Sharon Moss, was faced with a difficult decision: sell the business or invest the insurance proceeds in the ailing business. 1989 was also a difficult year for the automotive industry and Louisiana was in a recession due to the low price of oil. Sharon’s financial advisors instructed her to sell the business. Instead, she made a quick decision to pick up where her late husband left off. Sharon quickly rose to the challenge and since then Moss Motors has become one of the top 20 dealerships in the state of Louisiana out of over 400 dealerships statewide. In 2009, Moss BMW moved into their new state of the art BMW Center. Moss BMW is locally owned and has always given back to the Acadiana community as much as possible. Through our continued aid to numerous local charities and events, our community has truly become our family. Moss BMW welcomes you to visit our dealership and join our family today. 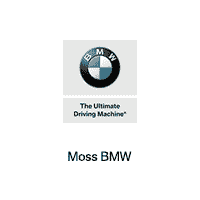 Why Should You Choose Moss BMW? On top of our amazing selection of vehicles and financing options, we also offer impeccable service for your BMW. Current BMW owners in the Lafayette area and beyond love our on-site service center, in which our certified BMW technicians provide professional and swift maintenance and repair services. From your initial auto search online until you drive off of our lot in your new or pre-owned vehicle, Moss BMW is excited to be your preferred auto partner. If you’re interested in any of our models or services, don’t hesitate to contact us. Come swing by Moss BMW today, and you’ll see why everyone that comes through our doors leaves feeling like family.